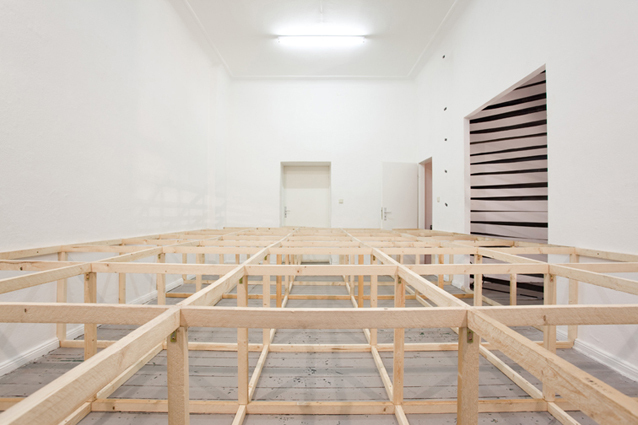 The frame of a theater stage is displayed without its floor. 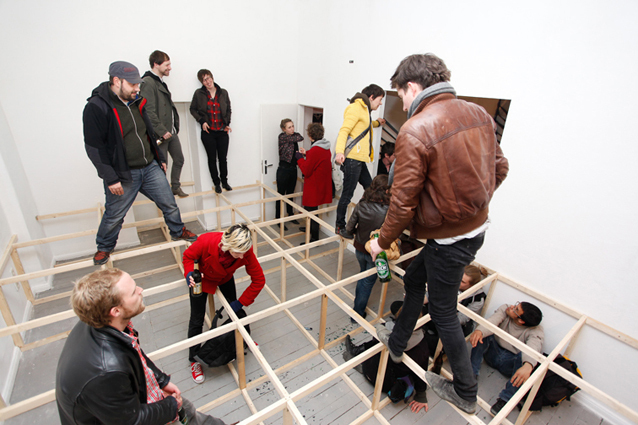 Once again, the visitor needs to climb over or to crawl under the minimal sculpture. 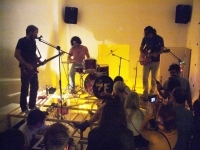 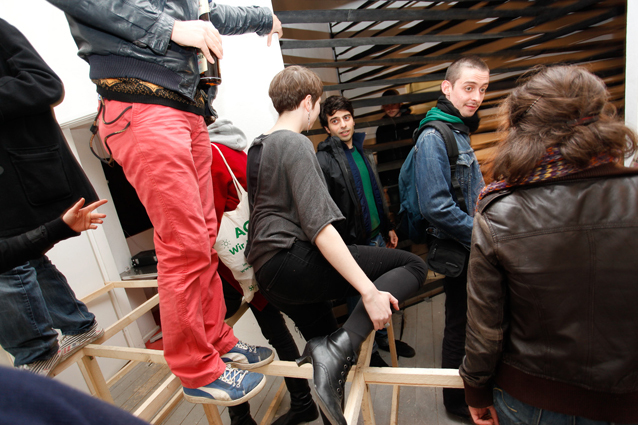 In the framework of the exhibition’s finissage, a concert (STRANGE FORCES) has been held inside the naked structure. 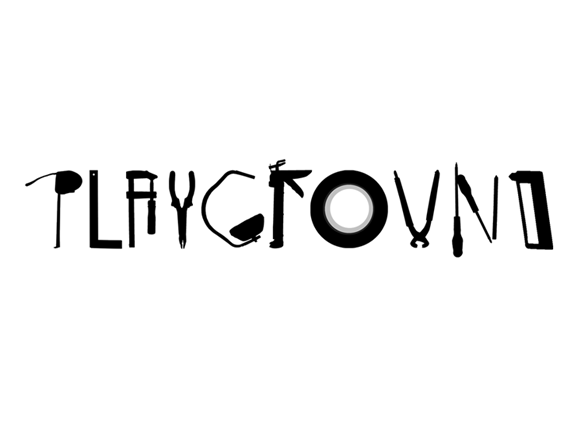 PLAYGROUND : Co-produced by PE Morelle, PMgalerie, Regional Council of Picardie & Schilerkiez Neukölln. 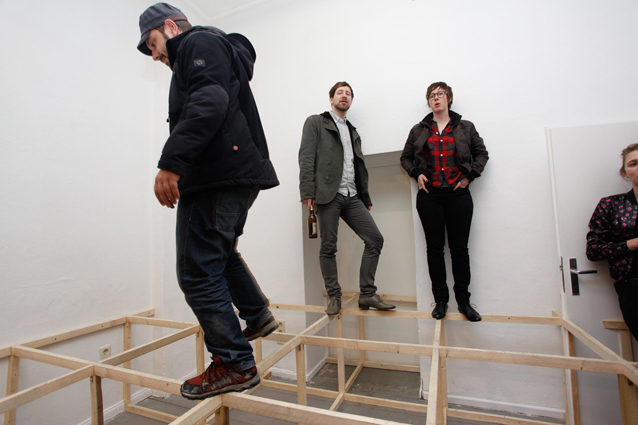 Three in situ installations transform the space into an obstacle course, scattered all over the gallery’s rooms. 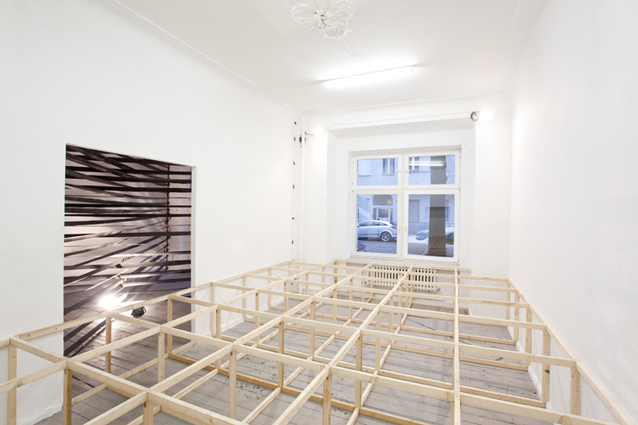 The initial idea is to connect three heterogeneous sculptural units into one installation.